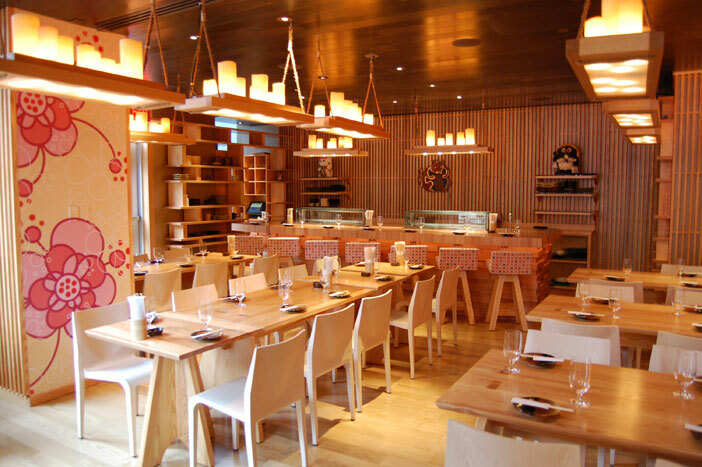 I went to this Japanese tapas style restaurant, in the Gansevoort Hotel with a large group for a surprise party. It has an extensive sake and beer list to choose from. I went with one of their Hitachino White beers, its a Japanese wheat beer. The plates are tapas style, to be shared. My friends and I split around 6 dishes. The Wagyu sliders were delicious and are much leaner than regular beef sliders. 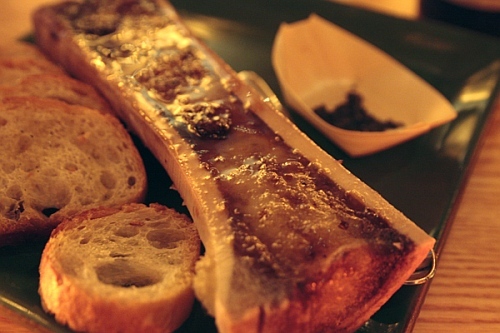 My love for bone marrow continued, the order comes with 2 bones, jam and toast. Make sure to order the Pat LaFrieda burger (same beef used at Minetta Tavern) and an order of the oxtail fried rice. They also have bone marrow! !